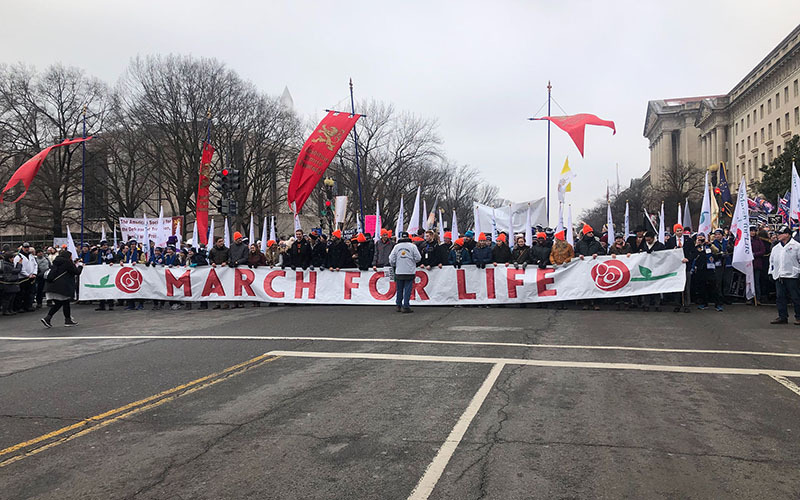 WASHINGTON – After 46 years, the March for Life remains the largest pro-life rally in the country. But to former Arizona resident Cheryl Kubacz, it’s about more than abortion. “This is the largest and longest sustainable march for civil rights that is consistent year after year, after year,” said Kubacz, an Arizona State University alumna now living on the East Coast. 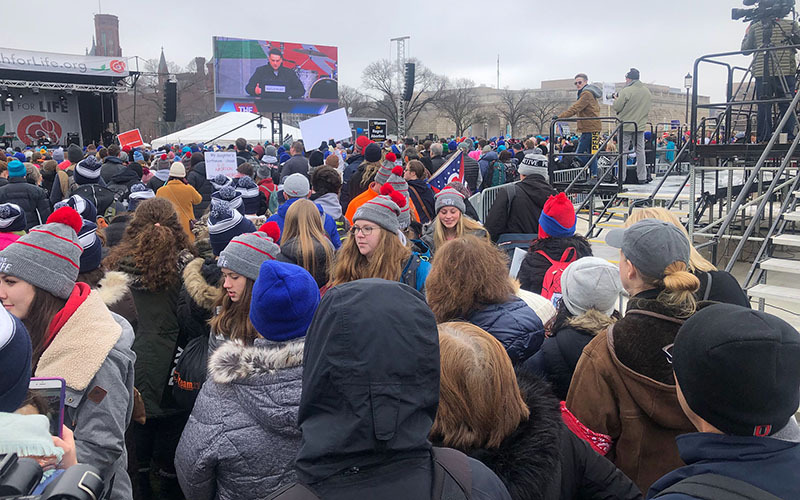 Kubacz was among the tens of thousands who turned out Friday for the 46th annual March for Life to sing, pray and listen to speeches criticizing the Supreme Court’s 1973 Roe v. Wade decision that recognized a woman’s right to an abortion. The march was the highlight of a day of activities that included religious services and a dinner that featured a promised appearance by Vice President Mike Pence, who phoned in a message to the thousands who gathered on the National Mall – along with a surprise message from President Donald Trump. 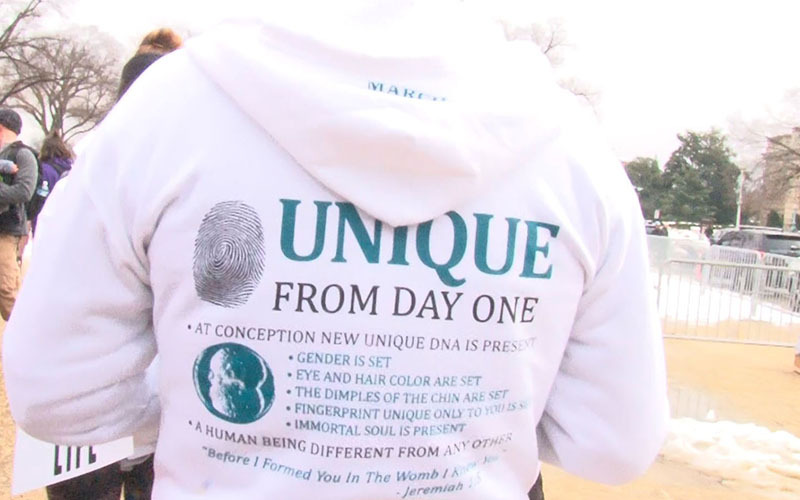 Many carried signs with the theme of this year’s march, “unique from day one,” a reference to new medical technologies that shows fetal development in great detail at earlier stages than was possible when Roe v. Wade was decided. For marchers like Arizona resident Katie Brech, those advances are more evidence that time and science are on the side of the pro-life movement. More than science is on their side. After almost five decades, the marchers were more optimistic than ever Friday, with the possibility that pro-life Trump could change the direction of the high court if he gets another appointment during his term. He has already named two new justices to the court, Neil Gorsuch and Brett Kavanaugh. The march faced small and limited counter-protests scattered along the route of the march. Most marchers paid them little heed but a handful got into spirited face-to-face arguments. This year’s march comes as Arizona was recognized by the group Americans United for Life as the most pro-life state in the country. State Rep. Nancy Barto, R-Phoenix, said the ranking was based on the state’s adoption of demographic reporting requirements for abortion-related complications. 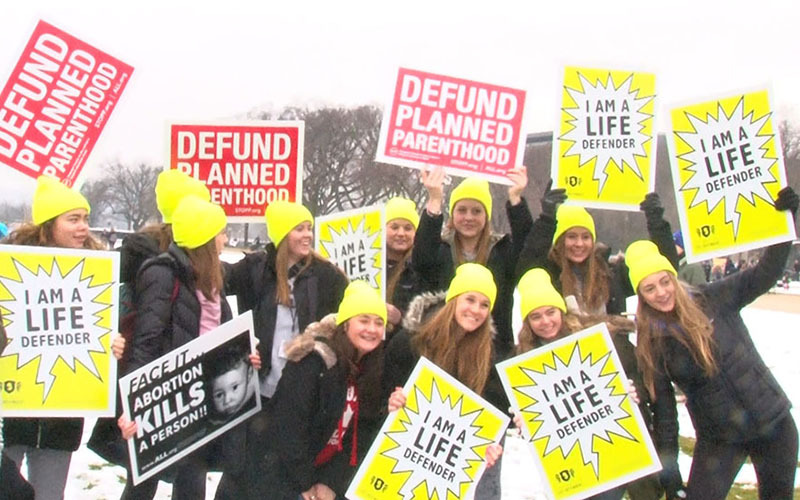 Kubacz said that events like the March for Life are important, but that the fight needs to continue at both the local and the national level. “It’s really up to the people to keep fighting and not just depending on this one march to keep moving forward to create awareness throughout their communities,” she said.